State Public Defender/Office: Dakota County, Minnesota (Public Defender, Specialized in Children in Need of Protection Cases); 19?? to ? He grew up in South St. Paul, Minnesota. 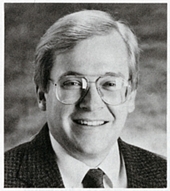 He ran unsuccessfully for the Minnesota House of Representatives in the 1986 election. He played hockey in college. He was a member of Luther Memorial Church in South St. Paul, Minnesota. 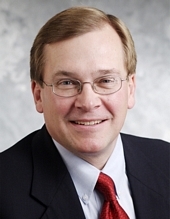 Session Notes: He was appointed by Governor Tim Pawlenty to the Minnesota Public Utilities Commission in 2004. No special election was held for this seat. Miranda, Maricella. "He Thinks the Robe Will Fit." St. Paul Pioneer Press, December 28, 2011, p. 1B, 4B. Donovan, Sandy. "Pugh Hopes to Fare Well in New Role Guiding DFL." Session Weekly, St. Paul: Minnesota House of Representatives Information Office, January 15, 1999, p. 13.